A show-stopping, sophisticated holiday dessert that is easy to make and easy on the diet. Combine wine, sugar replacement if using, orange peel, cinnamon stick and cloves in a small saucepan. Bring to a boil, reduce heat and simmer 5 minutes. To serve: Remove pears from poaching liquid and place on serving plate. Strain poaching liquid and place back in saucepan. Bring to a boil, reduce heat to medium and cook until reduced by at least half. Liquid should be slightly syrupy. Let cool to room temperature. 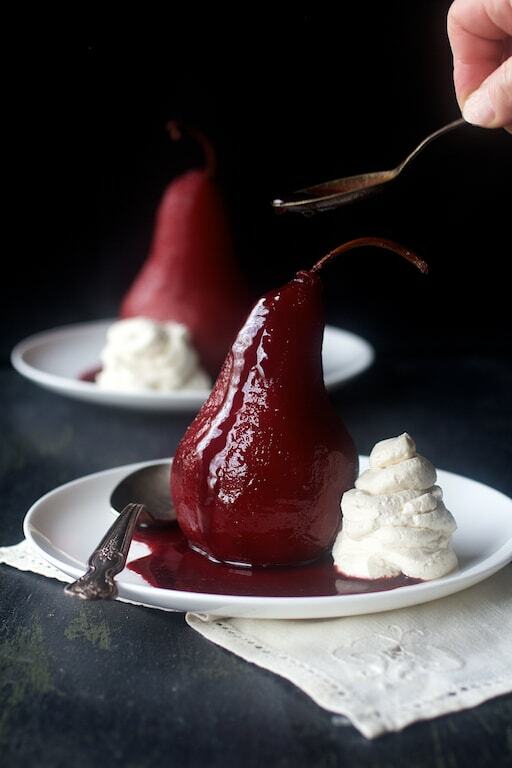 Drizzle pears with sauce and serve with Vanilla Mascarpone Whipped Cream. Combine cream, mascarpone, sugar replacement and vanilla extract in a small, deep bowl. Beat until thick and the consistency of whipped cream, about 5-7 minutes. Serve with pears. Looks very nice. Shame some ingredients are measured by the ‘cup’. Please use grams for accuracy (or ounces), as cups come in many different sizes, where such nomenclature is not used outside USA. Also please remember your posting is being read by an international audience, so make sure food terminology, varieties and diction reflects this. 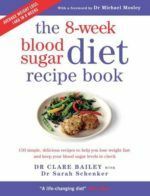 Also note: unless you are doing baking with flour where the ration of flour/fats/leavener is critical, use these measurements as “suggestions”…..modify to your hearts content. Taste and adjust.